Auto tariffs were the big takeaway from this weekend's meeting between President Donald Trump and Chinese leaders to de-escalate their trade war. But don't be misled. The real threat to American auto jobs isn't Chinese tariffs on American-made cars. It's China's plan to flood the U.S. with cut-rate cars made with low-paid labor. After the trade powwow, Trump advisors reported that China would drop or remove its punitive 40 percent tariff on autos imported from the U.S. But don't pop the champagne cork. Removing Chinese tariffs on U.S. made-autos will do almost nothing for our autoworkers. Truth is, only 2 percent of Fords sold in China are made here. The big three U.S. automakers will tell you "we build where we sell." They've moved operations to China because the Asian giant is where the U.S. was in 1925 in terms of car ownership, with plenty of first-time car buyers. GM makes more cars in China than here, and sells more in China. The company's more Chinese than American. Back in the U.S., the problem ahead is the coming wave of cheap Chinese-made cars. It's a rerun of what Japan and South Korea did in the 1970s and 1980s. Their low-priced cars killed thousands of jobs in auto-producing states like Michigan, Indiana and Ohio. Now five Chinese auto companies plan to sell in America within two years. Chinese autoworkers make about $11,000 a year. No wonder Chinese negotiators say they want both sides to scrap all tariffs. It's a trick. Fortunately, Trump doesn't seem to be falling for it. He's appointed a hard-liner, pro-tariff U.S. Trade Representative Robert Lighthizer to spearhead the Chinese negotiations. It's a sign Trump appreciates that tariffs are vital to staving off more disasters -- such as the GM plant closings announced last week. On Nov. 26, CEO Mary Barra blindsided the nation, announcing that General Motors is shuttering four U.S. factories, including the Lordstown, Ohio, plant that makes the Chevy Cruze, and the iconic Detroit-Hamtramck plant that produces the Chevy Volt and other sedans. The closings will lay off 3,300 production workers and 15 percent of GM's white-collar workforce. Barra's justification is that its sedans aren't selling, and the closings are needed to "stay in front of a fast-changing market." Investors agreed. GM stock soared. Though longtime employees can move to other GM plants, many workers will end up in low-paying jobs or unemployed. In towns like Hamtramck, stores will be boarded up and rows of houses will be for sale. In 2016, candidate Trump pledged to prevent such disasters. Trumbull County, home of the Lordstown plant, went for Trump after giving Barack Obama a 23-point margin in 2012. Hearing GM's grim announcement last week, Trump immediately called for tariffs. He pointed to the 25 percent tariff imposed on light trucks since 1964, which has guaranteed U.S. dominance of the pickup and SUV market ever since. "If we did that with cars coming in, many more cars would be built here," he tweeted, "and GM would not be closing their plants in Ohio, Michigan & Maryland." Trump also improved protections for U.S auto jobs when he renegotiated the trade pact with Mexico and Canada, announced last week. The pact, pending Congress's approval, requires that at least 75 percent of a car's value -- meaning parts and labor -- originate in North America for the car to be duty-free. That's up from 62.5 percent under NAFTA. It will force companies that assemble in Mexico, like Nissan and Volkswagen, to use North American-made parts. To protect U.S. wages, nearly half of all the parts will have to be made by workers earning at least $16 an hour, a jab at Mexico, which currently pays nearly the lowest auto wages in the world. GM's Barra is coming to Washington this week with mea culpas. 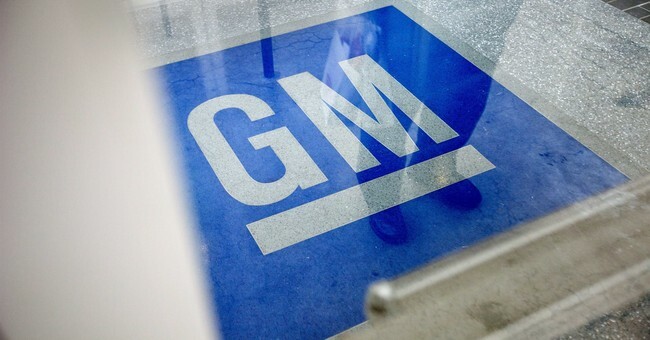 But GM's future as a company is largely in China and other new foreign markets. Fortunately, Trump has U.S. autoworkers' backs.